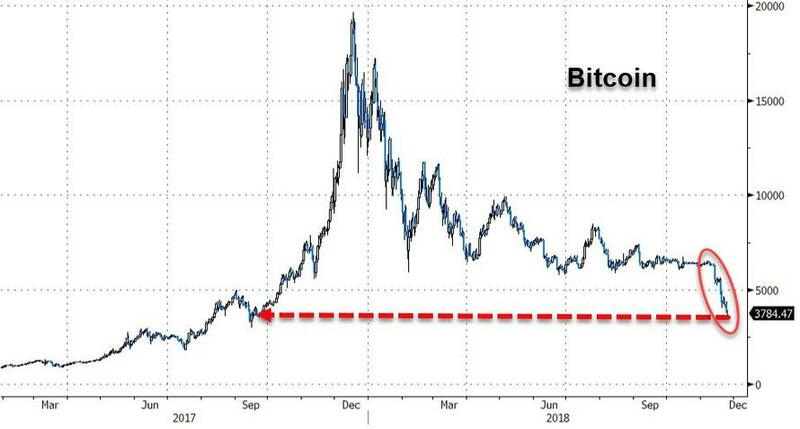 Amid a series of liquidations of large long positions, Cryptocurrencies have crashed to fresh 2018 lows today with Bitcoin blowing through the $4000 level. 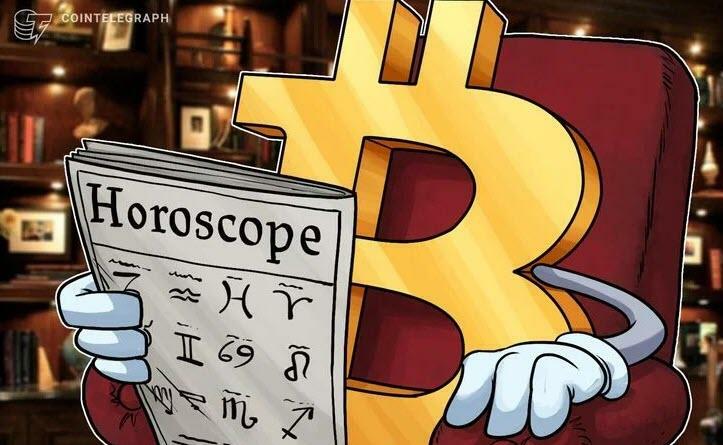 But, as CoinTelegraph reports, Michael Moro, the CEO of cryptocurrency trading companies Genesis Trading and Genesis Capital Trading, said that the Bitcoin (BTC) price could bottom at $3,000 in an interview with CNBC Nov. 23. “This is about the fifth or sixth 75 percent-plus drawdown that we’ve seen in the 10-year history of Bitcoin. The recent cryptocurrency market decline has resulted in a similar drop in mining profitability and forced Chinese operators to sell their mining devices at a loss. Some mining machines are being sold on the second-hand market for merely 5 percent of their original value. 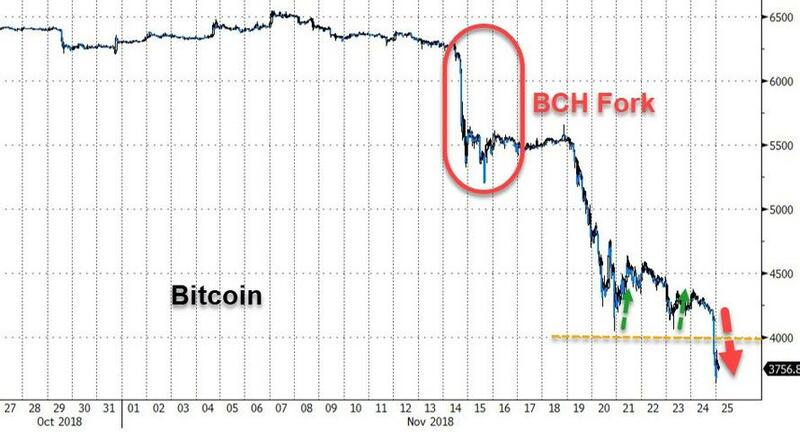 Bitcoin’s price has kept falling, along with the rest of the crypto market, since the hard fork network upgrade of Bitcoin Cash (BCH) that took place Nov. 15. 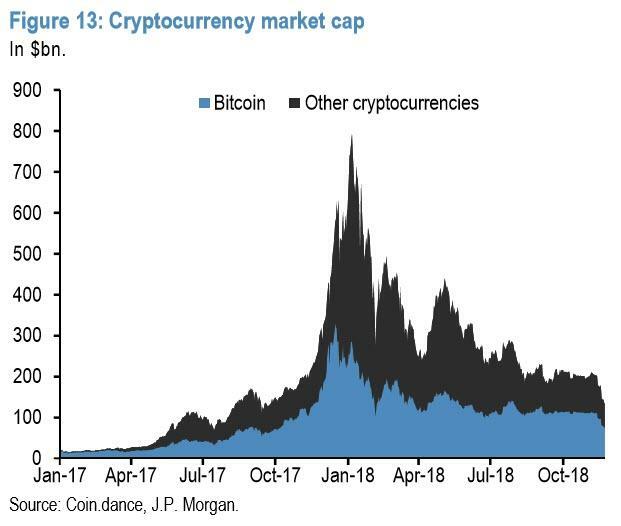 Bitcoin’s share of total cryptocurrency market cap has increased to just over 55% compared to an all-time low of around a third at the turn of the year, meaning that other cryptocurrencies have suffered disproportionately during this reversal. Furthermore, as JPMorgan notes, the latest decline in prices has also seen a sustained decline in the hash rate according to data from Blockchain.info. This suggests that prices have declined to a point where mining is becoming uneconomical for some miners, who have responded by turning their mining rigs off. While the listing of Bitcoin futures by the CBOE and CME in December last year made it possible for financial institutions to gain exposure to cryptocurrencies via widely recognised platforms, participation has remained rather modest. 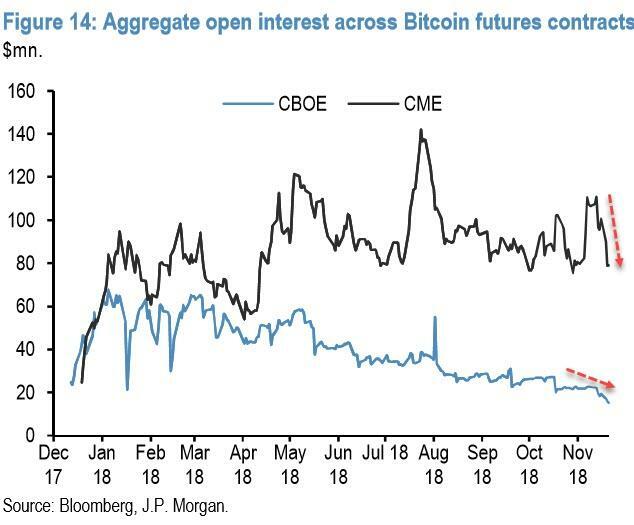 As Figure 14 shows, open interest in the CME contract, where it has increasingly concentrated, has remained relatively stable at around $100mn on average since end-April, though given the decline in the price of Bitcoin this masks some increase in open interest in terms of units of Bitcoin. And while volumes haveat timesspiked sharply higher to over $500mn at their peak, average daily volumes have remained at arather less spectacular $150mn per day since early April on the CME contract, and just over $30mn per day on the CBOE contract. 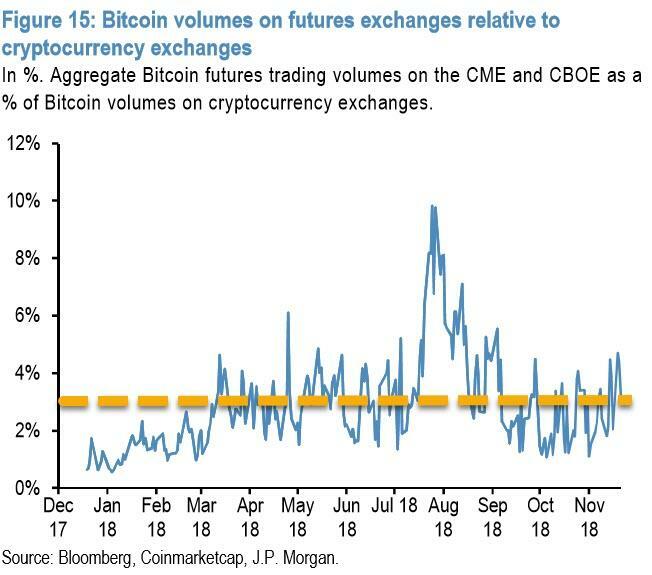 Indeed, the futures volumes as a proportion of trading volumes on bitcoin exchanges has been relatively stable at just over 3% on average since mid-March, and have only temporarily risen meaningfully above that level. 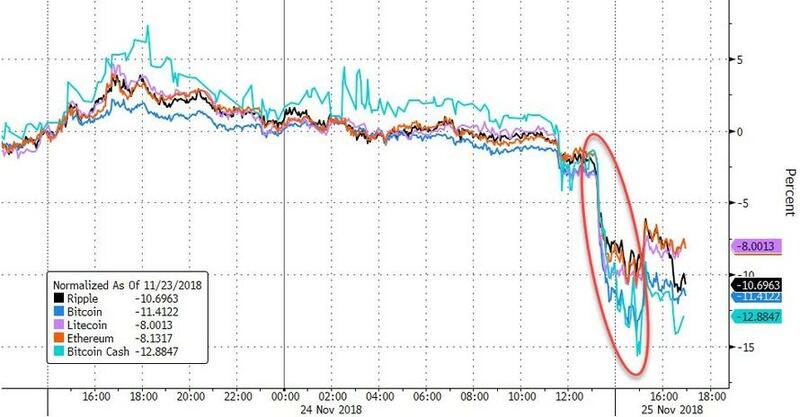 An effect of the plummeting cryptocurrency prices is a significant depreciation to the capitalization of the entire market. Just seven days ago, the market was valued at $182 billion, but that number has since fallen $54 billion, or 30 percent to where it now stands at $128 billion, its lowest value since September 2017.